On the 28th day of August 1961; the Supreme Court of Ghana, was confronted with legal interpretation of Article 13(1) of the 1960 Republican Constitution and here, in relation to its consistency with the Preventive Detention Act [PDA] (1958 (No. 17 of 1958) under which the Seniour Linguist of the Asantehene- Baffour Osei Akoto, and Seven Others- namely: Peter Alex Danso (alias Kwaku Danso), Osei Assibey Mensah, Nana Antwi Bosiako (alias John Mensah), Joseph Kojo Antwi-Kusi (alias Anane Antwi-Kusi), Benjamin Kweku Owusu, Andrew Kojo Edusei, and Halidu Kramo, were summarily detained without trial on an offence “prejudicial to the security of the State”. 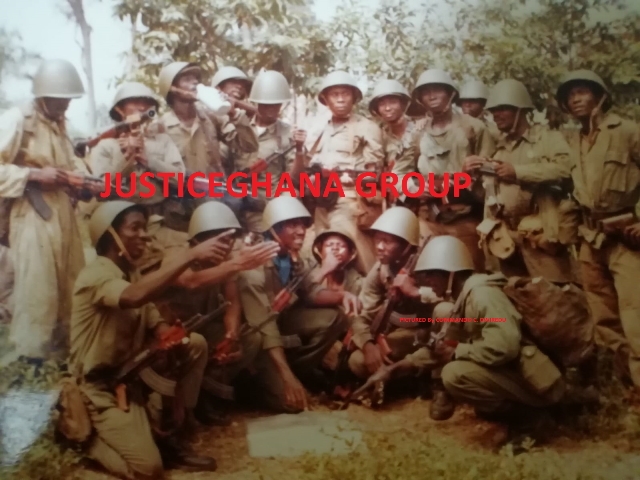 The grounds for the detention were that they encouraged the commission of acts of violence in the Ashanti and Brong-Ahafo and associated themselves with persons who have adopted a policy of violence as a means of achieving political aims in those regions. Baffour Akoto was a “founding-member” of the National Liberation Movement (NLM): a political setup that advocated for a federated Ghana. Dr. Joseph Boakye Dankwa- Counsel for the suspects, who probably, by the fate of political destiny became victim of the same PDA- sought to argue that by virtue of section 3 of the Habeas Corpus Act 1816, the High Court was bound to enquire into the truth of the facts alleged in the grounds upon which the Governor-General was satisfied that the order of arrest of the suspects, was necessary to prevent Akoto & Co. acting in a manner prejudicial to the security of the State. Baffour Akoto and Others were arrested and detained on the 10th and 11th November, 1959, under an order made by the President and signed on his behalf by the Minister of the Interior under section 2 of the Act. Their application to the High Court for writs of habeas corpus and subjiciendum was refused on the grounds of lack of jurisdiction. The Minister of Interior [A. E. Nkumsah] who signed the order for and on behalf of the Governor-General was actuated by malice. By virtue of section 3 of the Criminal Procedure Code, Cap.10 of the Laws of the Laws of the Gold Coast (1951 Rev.) now section 1 of the Criminal Procedure Code 1960 (Act 30), the Governor-General is precluded from exercising the powers conferred on him under the Preventive Detention Act, to make an order for the arrest and detention of the appellants without trial except in accordance with the Criminal Procedure Code. The Preventive Detention Act, 1958, by virtue of which the appellants were detained, is in excess of the powers conferred on Parliament by the Constitution of the Republic of Ghana with respect to article 13(1) of the Constitution, or is contrary to the solemn declaration of the fundamental principles made by the President on assumption of office. The Preventive Detention Act not having been passed upon a declaration of emergency [but in peace time] is in violation of the Constitution of the Republic of Ghana. Re Akoto centred on whether or not the Parliament of Ghana or the Constitution was sovereign and supreme. Then were the balancing effects of the fundamental human rights and freedoms as provided for under the Constitution as against the legislative manoeuvres designed to forestall the security of the State. Dr Dankwa talks of Constitutional supremacy- arguing that PDA was made in excess of the power conferred on Parliament by or under the Constitution with respect to Article 13(1) and until the PDA is repealed by the people, (a) freedom and justice shall not be honoured and maintained, (b) no person should suffer discrimination on grounds of political belief, and (c) no person should be deprived of freedom of speech or of the right to move and assemble or of the right of access to the courts. Attorney-General Geoffrey Bing, thought otherwise, holding that the solemn declaration made by President Kwame Nkrumah on assumption of power under the Article 13(1), in subscribing to the declaration that “The powers of Government spring from the will of the people and should be exercised in accordance therewith” and here; in the context of honouring and maintaining freedom and justice, prohibition of discrimination on grounds of political belief, non-deprivation of the freedom of speech, or of the right to move and assemble without hindrance or of access to the courts of law, like the Coronation Oath taken by the Queen of England, is nothing more than “moral obligation” and therefore without legal responsibility on the part of the President than the electorates punishing him at elections. Equating the Ghanaian experiment to that of the sovereign Parliament of UK, the Attorney-General said: “We are of opinion that the effect of Article 20 of the Constitution which provides for “The Sovereign Parliament”, is that subject to the following qualification, Parliament can make any law it considers necessary. The limitations are that (a) Parliament cannot alter any of the entrenched articles in the Constitution unless there has been a referendum in which the will of the people is respected; (b) Parliament can however of its own volition, increase, but not diminish the entrenched articles; (c) the articles which are not entrenched can only be altered by an Act which specifically amends the Constitution.” Dr J.B. Dankwa disagreed and pleaded with the Supreme Court to invoke its judicial power under section 2 of Article 42 of the 1960 Constitution to declare the Preventive Detention Act invalid on the grounds that it was made in excess of the power conferred on Parliament. The appellants’ application for habeas corpus was supported by affidavit with exhibits disclosing: (a) The written order of detention; (b) The written information furnished with it in accordance with the requirements of the Act; (c) Written representations by the detainees to the Governor-General and; (d) The reply of the Governor-General. An affidavit was filed on behalf of the Minister of the Interior which stated that the detention order was made in good faith and that the Governor-General was satisfied that the “order is necessary to prevent the persons designed from acting in a manner prejudicial to the state, Dr Dankwa argued that arrest was actuated on bad faith. The grounds of detention served upon the detainees contain particulars of the previous acts upon which the conclusion of the Governor-General is based.